With the 2019 MDX, Acura takes the practicality and user-friendliness of the Honda Pilot and gives it bolder styling, nicer cabin materials, and a more premium image, and then charges several extra thousands of dollars. Can Acura indeed make a silk purse out of a sow’s ear? And while the MDX is likely in its last year or two before a redesign is due, it still has plenty of advantages to meet the needs of people who want to drive something a little bit fancier than a Pilot, especially when decked out with its sporty new-for-2019 A-Spec Package. For this review, I evaluated an Acura MDX A-Spec, which includes a Technology Package and a torque-vectoring all-wheel-drive system. The price came to $55,795, including the $995 destination charge. Before we discuss the results of our evaluation of the Acura MDX, it is helpful to understand who bought the previous version of this Midsize Premium SUV, and what they liked most and least about their MDXs. J.D. Power data shows, in comparison to the segment as a whole, Acura MDX owners are more often men (70% vs. 63%), are younger with a median age of 54 (vs. 58), and are less affluent with a median annual household income of $166,346 (vs. $197,769). Members of Generation Y comprise nearly a quarter of the MDX’s owner base, at 24% (vs. 15%). More Acura MDX owners identify as Price Buyers than the segment average (14% vs. 10%). They match the segment average in terms of identifying as Performance Buyers (41%). Generally, the psychographics of an Acura MDX owner align with a typical Premium Midsize SUV owner. Fewer MDX owners agree that they prefer to buy a vehicle from a domestic company (27% vs. 36% for the segment), despite the MDX’s production facility in Ohio. Acura MDX owners are more likely to avoid vehicles that they think have high maintenance costs (90% vs. 80%), and are more likely to agree that their first consideration in choosing a vehicle is miles per gallon (43% vs. 39%). They are also less likely to agree that they like a vehicle that stands out from the crowd (77% vs. 82%), and MDX owners are more likely to agree that a vehicle is just a way of getting from place to place. (31% vs. 26%). Owners report that their favorite things about the MDX are (in descending order) the driving dynamics, exterior styling, interior design, visibility and safety, and seats. Owners indicate that their least favorite things about the MDX are (in descending order) the storage and space, climate control system, engine/transmission, infotainment system, and fuel economy. In the sections that follow, our expert provides her own perceptions about how the Acura MDX measures up in each of the 10 categories that comprise the 2018 APEAL Study. Acura MDX owners say that their second favorite thing about this SUV is the styling. There is a big visual difference between the MDX and the Honda Pilot, and especially following a 2017 design update the MDX puts forth a modern, angular and stylized look. 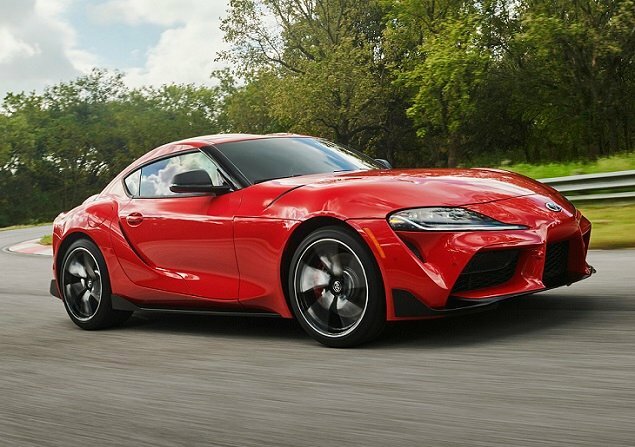 The new A-Spec Package installs gloss black and smoked chrome trim all around, body color detailing, dark gray wheels, and big circular dual exhaust pipes rather than the trapezoidal ones on other MDXs. It gives the SUV an aggressive, upgraded performance appearance, even though the engineering and mechanicals are unchanged. You wouldn’t call the MDX’s interior luxurious in the traditional sense of the word; it’s not glitzy in any way. But everything is made of high-quality, soft-touch materials, and the leather is smooth and supple. Upgrading to the A-Spec Package gives you a dash of extra style, with red leather set off by black Alcantara inserts along with red contrast stitching and piping, all of which lends flair to an otherwise monochromatic cabin. Acura MDX engineers apparently spent some time at the University of Barcaloungers, because this SUV’s front seats are supremely comfortable, offering ideal levels of support and cushioning, as well as 12-way power adjustment for both the driver and front passenger seats. 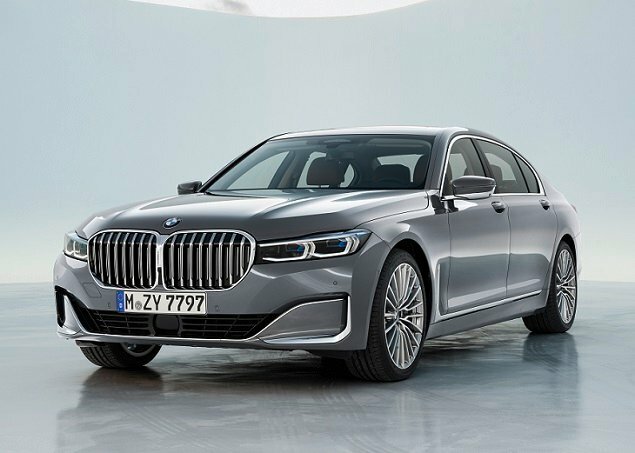 Rear passengers will find plenty of room to stretch out in the second row, commenting favorably about the USB ports and their own automatic climate control zone. And while this is a three-row vehicle, the third row is mounted low to the floor and leg space is quite cramped. Plus, I speak from experience when I say that occupants seated there will bounce uncomfortably with every bump on the road. Using the MDX’s climate control system is a bit of a mixed bag. The temperature adjustments and defogger controls exist outside of the dashboard touchscreen, but everything else is accessible at the bottom of the dashboard touch screen. This can creates irritation from time to time, but people who prefer to set it and forget it on automatic mode shouldn’t really notice. Every MDX comes with triple zone climate control, and as I previously mentioned, this feature is much appreciated by rear seat passengers. My test vehicle also had automatic seat heating and ventilation that works depending on the main system’s temperature setting. On warm days, these were quite effective, and the automatic function doesn’t activate if the front passenger’s seat is unused. Two screens dominate the MDX’s dashboard. Some people dislike the setup, but I personally don’t mind it. I like having information right in front of me, instead of having to cycle through different menus. The top screen is used for the navigation system, reversing camera, and the Bluetooth phone connection, and is controlled using a knob and main menu buttons on the dashboard. The lower screen handles entertainment and secondary climate functions and is controlled by touch. Thanks to recent software updates, the lower screen’s graphics are cleaner and more modern, and the MDX offers Apple CarPlay and Android Auto smartphone projection. I was also happy to see that Google Maps can finally be used with CarPlay-compatible systems via the iOS 12 update. Acura provides real-world measurements for cargo space, which means that its capacity figures sound less impressive than some competitors. Behind the third-row seat, the MDX offers 15 cu.-ft. of volume; fold that seat down for 38.4 cu.-ft. of room behind the second-row seat. So configured, the MDX supplies a wide and deep cargo compartment, supplemented by a sub-floor storage bin that’ll hold loose items. Fold both rows of seats to get 68.4 cu.-ft.
Acura does provide a second set of measurements for cargo space, but it assumes that you’re packing the second-row foot wells and have the front seats moved all of the way forward. Acura says you’ll actually get 90.9 cu.-ft. measured that way, but that’s unrealistic. As for interior storage, the center console is deep, providing more space than many SUVs this size. The glove box and door panel bins are decently sized, too. Otherwise, few stash spots exist and Acura has clearly missed a chance to provide a smartphone tray under the dashboard forward of the transmission controls, a glaring omission. With slim windshield pillars, large side mirrors, and a sloping hood, the MDX provides impressive outward visibility. My test vehicle included a slew of active safety features, too, most of which are standard on the 2019 MDX (blind spot monitoring with rear cross traffic alert is included for all but the base trim). The 2019 MDX gets a “Top Safety Pick” designation from this Insurance Institute for Highway Safety, mirrored by a 5-Star overall rating from the National Highway Traffic Safety Administration. Acura has been using a 3.5-liter V6 for a long time, and this oldie is a goodie. In the MDX, it’s tuned to make 290 horsepower, and its power is smooth, copious and refined. Broad-shouldered in all applications, the MDX produces a snarl when you put the pedal to the metal. Putting the ponies to the wheels, the MDX’s 9-speed transmission is newly calibrated for 2019. Wow, does this make a big difference! Comparatively, last year’s 9-speed was unrefined, often lurching and occasionally shifting harshly. Now it feels seamless, with crisp, timely shifts. Acura’s going all-in with rows of buttons that control the transmission, but drivers get used to this setup in a short time. My test vehicle was also equipped with Acura’s Super Handling All-Wheel-Drive (SH-AWD), a torque vectoring setup that makes a big difference in terms of driving dynamics on paved or gravel roads. However, with only 7.3 inches of ground clearance, it’s best to stick to beaten paths lest you tear up this SUV’s underside. Fuel economy is the factor cited as the least favorite MDX attribute among owners of this SUV. My test vehicle averaged 19.7 mpg on my test loop, and 20.1 mpg during a week of driving over 500 miles. That’s right in line with the EPA’s official 19 city/25 highway ratings, with 21 mpg expected in combined driving. Plus, with a big 19.5-gallon gas tank, trips to the gas station are less frequent. Premium fuel is recommended for the MDX’s engine, but is not necessary. Owners of the MDX cite the driving dynamics as their favorite thing about the vehicle. It’s true, in this regard the MDX doesn’t disappoint. Smooth and unruffled whether you’re tootling around town or zipping down a scenic mountain road, the MDX exudes confidence and composure in a wide variety of driving conditions. Accurate steering and confidence inspiring braking help in this regard, as does the SH-AWD system, which can put up to 70% of the engine’s power to a single rear wheel. 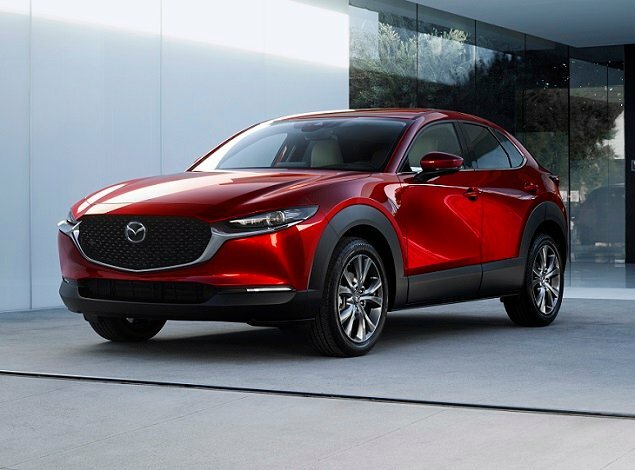 Note that MDXs with SH-AWD also boast a superior weight distribution, larger anti-roll bars and, with A-Spec and Advance option packages, meatier tires. 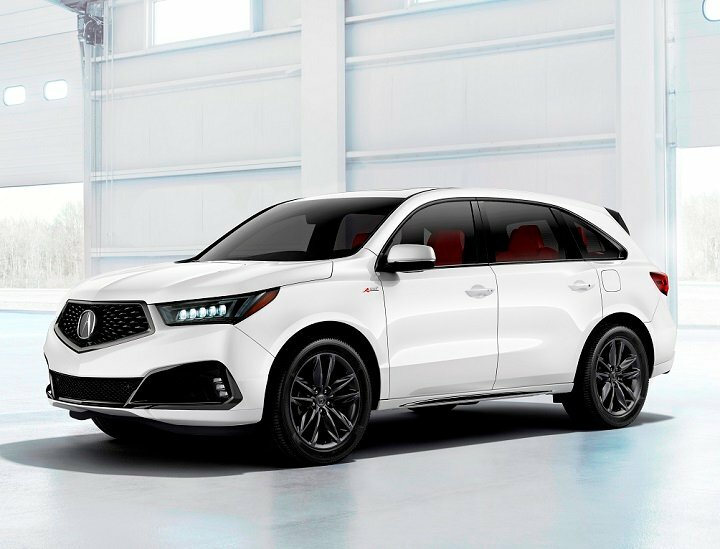 In the 2019 MDX, Acura provides a safe, comfortable, practical, quality, and upscale vehicle that’s also pleasurable to drive. Though the design is aging, it remains an appealing choice and a relative bargain. American Honda Motor Co. supplied the vehicle used for this 2019 Acura MDX review.